The town is partnering with Falmouth-based Gizos Energy LLC to study the possible construction of a 5-megawatt array near Kennebec Valley Community College. 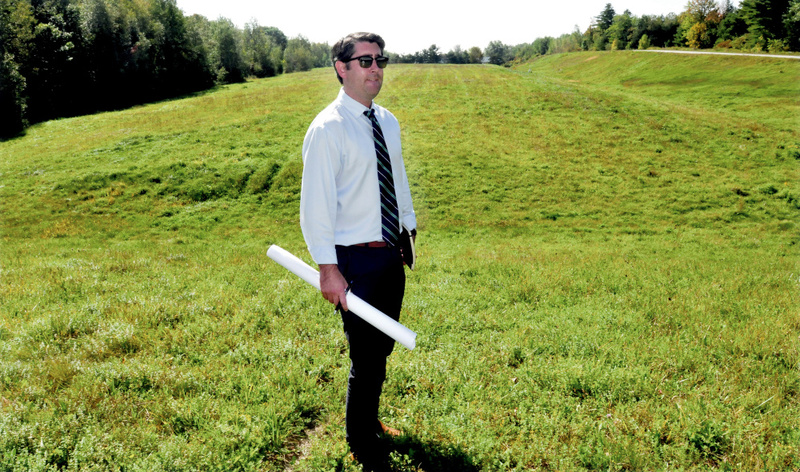 FAIRFIELD — The town eventually might be home to two large-scale solar projects, as the group behind a huge array on Waterville’s capped landfill has announced similar plans for Fairfield’s unused landfill. Gizos Energy LLC, a Falmouth-based energy company, announced its intention to build a large-scale solar project on the town’s landfill, located at Eskelund Drive, near Kennebec Valley Community College. Garvan Donegan, an economic development specialist for the Central Maine Growth Council, a public-private collaborative group based in Waterville, said the town of Fairfield had been working with Gizos for the past eight months on a project, and just last week the town formalized an agreement with Gizos to have it begin to evaluate and research development of the solar facility. Donegan said the plan is for Gizos to finance a 5-megawatt solar array in a 25-acre envelope, which potentially could cost up to $7 million. While details about where the power will be sold still need to be worked out, Donegan said it could be sold locally. An energy audit is being conducted to see what local options could benefit from the array. A project this size could create 35 to 45 jobs and provide enough power for 750 homes. Gizos has two Waterville projects planned for Webb Road, where the city’s landfill is located. The larger of the two is a 20-megawatt facility, and the other is a 5-megawatt facility nearby. The Waterville City Council approved a partnership with Gizos earlier this summer, and the project is estimated to cost close to $30 million. In addition to those three Maine projects, the company’s website lists a smaller project in Rhode Island. Gizos Energy is a relatively new company, but its three partners have many years of experience in the renewable energy field. Gizos, which is the Abenaki word for “sun,” is a renewable energy company that focuses on developing utility-scale solar farms in the United States. It is the exclusive U.S. development partner for Germany-based hep energy GmbH, a solar investment and engineering firm. Donegan said landfills are good sites for solar projects, as they are underused spaces that don’t provide revenue to the town. A landfill couldn’t be developed for something like a business or housing, so there’s not much from a planning perspective to do with a landfill. He said it makes a lot of sense as a way for a municipality to capture revenue. “This is turning a brown field into a bright field,” Donegan said. Fairfield Town Manager Michelle Flewelling said the landfill closed in 1993. The town has been considering a potential solar array for that spot for as long as she has been town manager, she said. She was hired in 2015. “We’re excited to have this opportunity for this company to come in,” she said, especially since the land is vacant and the project would provide additional tax revenue. Given the array’s proximity to Kennebec Valley Community College, Donegan said, it will also provide an educational opportunity. The college offers classes and training in solar power, including two levels of solar photovoltaic training — a program that focuses on a basic knowledge of photovoltaic systems for associate candidates and a design and installation program. Nondegree programs launched in 2012, they are designed for those already in the industry and for those who are seeking certification from the North American Board of Certified Energy Practitioners. Discussions about getting students out on the site to see surveying work, biology studies and surrounding engineering have been held, providing students with real-world experience, Donegan said. Gizos managing partner Robert Patton said the company was pleased to be working with Fairfield, calling the landfill a great site. The array’s actual size will depend on the power they can deliver to transmission lines, and a line study is underway to give the developer and the town a better understanding of how large the project will be. Patton said his company is looking at different possibilities for selling the power, but it prefers a local buyer. Some larger projects sell their power out of state. Donegan said planning and permitting work for Gizos’ Waterville project on Webb Road has gone out to bid, but he couldn’t say yet who those bidders are. He said a significant part of the planning process is getting local and state permits, delineating wetlands and laying out a master plan for the site. A bidder will be chosen soon. All the bidders were Maine companies, he said. “The investment and job creation is already beginning,” Donegan said. Donegan said that if all goes right, the array could be operational by 2020. “Frankly, we’re very proud that these projects represent hep energy’s first initiatives in the United States,” Donegan said. The Fairfield and Waterville projects are not the only large-scale ones planned or under construction in central Maine. Aaron Svedlow, solar development project manager for NextEra Energy Resources, said a planned Farmington array will be similar to the one the company is proposing for Fairfield. Both are scheduled to be up and running by the end of 2019. Svedlow said the Farmington project is being targeted as a 75-megawatt facility, and the Fairfield one is to be 20 megawatts. Both projects propose to sell the energy in other New England states. Earlier this week, NextEra went before the Farmington Board of Selectmen to update them on the project. Svedlow said the company is working with the Maine Department of Environmental Protection on permitting. “It’s very similar to our other projects in that region,” Svedlow said. NextEra’s Fairfield project on U.S. Route 201 is estimated to cost $30 million, while the Farmington project is estimated to cost somewhere around $80 million. Like the Fairfield project, Svedlow said, the Farmington one — which is on land owned by Sandy River Farms but will not occupy agricultural space, for the most part— will not be highly visible. NextEra is planning a similar project in Clinton, though Svedlow said the plan for that one is not as advanced as the ones for Fairfield and Farmington are. Earlier this summer, Cianbro announced that a 41,000-panel solar project in Pittsfield would go online by the end of 2017. Environmental regulators approved the $24.2 million project in June, and the Maine Public Utilities Commission allowed Cianbro to enter into a long-term partnership with Central Maine Power Co. Cianbro’s 57-acre solar farm will be off U.S. Route 2 and will generate 9.9 megawatts. CMP will pay 8.45 cents per kilowatt-hour for that electricity over a 20-year contract. Colby College, in Waterville, expects to have its 1.8-megawatt project consisting of 5,300 panels ready this fall. The Maine Organic Farmers and Gardeners Association launched its new array in the spring at the Common Ground Education Center on Crosby Brook Road in Unity, where more than 300 panels capable of producing 102 kilowatts are spread out over five barn roofs. The array is owned by ReVision Energy, and MOFGA has entered a power purchasing agreement to buy power from ReVision at a fixed cost. Though the agreement is for 30 years, the organization will have the option to buy the array outright from ReVision after seven years.